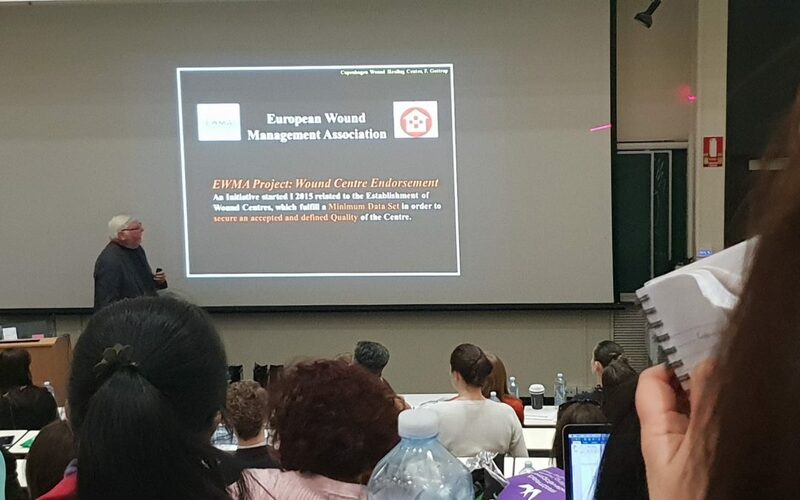 Elisha recently attended the Foot Wound Clinic Symposium at Westmead Hospital, refreshing her knowledge on new wound care practices including barriers to healing. The symposium had a specific focus on Diabetic related foot ulcerations and reiterated the importance of preventative care and a multidisciplinary approach. People living with Diabetes have a 25% (1) chance of developing a foot ulceration in their lifetime and can lead to lower limb amputation if not managed in an effective and timely manor. The reason your feet are at such high risk is because they are the furthest away from your heart and therefore can have a reduction in blood flow as well as they are under a lot of stress from carrying your entire body every day. Here at Erina Podiatry we offer comprehensive foot health assessments to asses your risk of developing a lower limb ulceration. If you are at risk we can provide effective management which primarily involves prevention through person specific education as well as regular foot care, foot health assessments and in some cases custom offloading to reduce high pressure areas of the feet. We also offer wound care if you currently have an ulceration which includes dressings, custom offloading as well as education and referrals regarding your specific barriers to healing.